O the depth of the riches of the wisdom and of the knowledge of God! How incomprehensible are his judgments, and how unsearchable his ways! For who hath known the mind of the Lord? Or who hath been his counsellor? Or who hath first given to him, and recompense shall be made him? For of him, and by him, and in him, are all things: to him be glory for ever. Amen. Blessed art Thou, O Lord, that beholdest the depths and sittest above the Cherubim. Blessed art Thou, O Lord, in the firmament of heaven, and worthy of praise for ever. Alleluia, alleluia. (Daniel 3:52) Blessed art Thou, O Lord, the God of our fathers, and worthy to be praised for ever. Alleluia. Blessed be God the Father, and the only-begotten Son of God, and also the Holy Spirit; because He hath shown His mercy to us..
We bless the God of heaven, and before all living we will praise Him; because He has shown His mercy to us. THAT in some real sense the Father, and the Son, and the Holy Ghost are They whom we are bound to serve and worship, from whom comes the Gospel of grace, and in whom the profession of Christianity centres, surely is shown, most satisfactorily and indisputably, by the words of this text. When Christ was departing, He gave commission to His Apostles, and taught them what to teach and preach; and first of all they were to introduce their converts into His profession, or into His Church, and that by a solemn rite, which, as He had told Nicodemus at an earlier time, was to convey a high spiritual grace. This solemn and supernatural ordinance of discipleship was to be administered in the Name—of whom? in the Name (can we doubt it?) of Him whose disciples the converts forthwith became; of that God whom, from that day forward, they confessed and adored; whom they promised to obey; in whose word they trusted; by whose bounty they were to be rewarded. 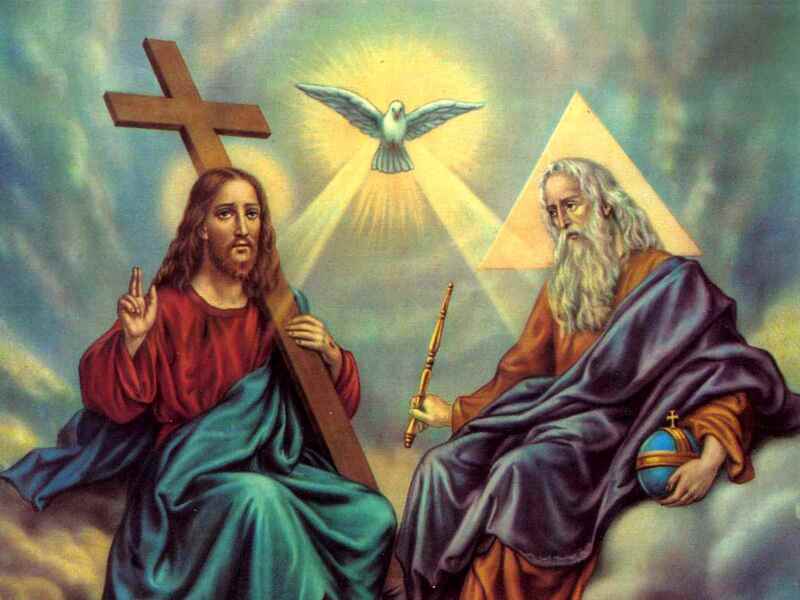 Yet when Christ would name the Name of God, He does but say, “in the Name of the Father, and of the Son, and of the Holy Ghost.” I consider, then, that on the very face of His sacred words there is a difficulty, till the doctrine of the Holy Trinity is made known to us. What can be meant by saying, in the Name, not of God, but of Three? It is an unexpected manner of speech. Your Prayers are requested for those who are sick: Louis Turner, Howard Valentine, Ronan, Penny Armstrong.